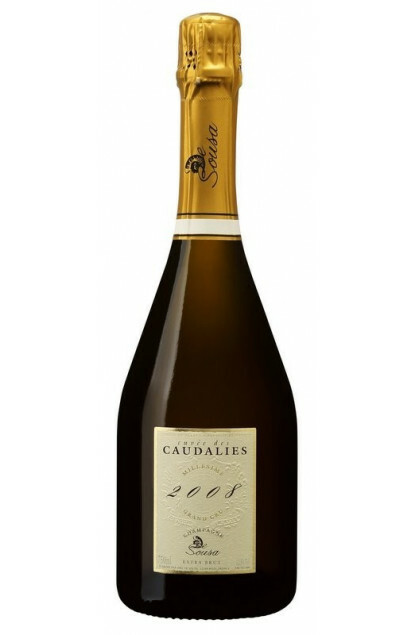 Under the watchful gaze of a third generation of champagne winegrowers, the grape harvest from old vines that are more than 50 years old was made entirely by hand for this Chardonnay Blanc de Blancs wine raised 100% in small oak barrels, among which 15% in new barrels for 10 months. To the nose : after more than 8 years of ageing, wide range of aromas going from ripe yellow fruit like peach, apricot, quince with touches of honey and gingerbread. The taste overturns the range of fruit aromas felt in the nose, from vine peach to gingerbread. Will fit perfectly with shellfishes, white meats or simply as an aperitif with foie gras toasts, grilled lobster skewers or grilled red mullet. The cellar master sees in this enjoyable wine a potential of ageing of 15 to 20 years in a dark cellar, away from noise, bottle laid flat.